Hi everyone, please forgive me as this is the first time I've ever posted on a forum. I thought it only right that it should be at such a great site like Flitetests. 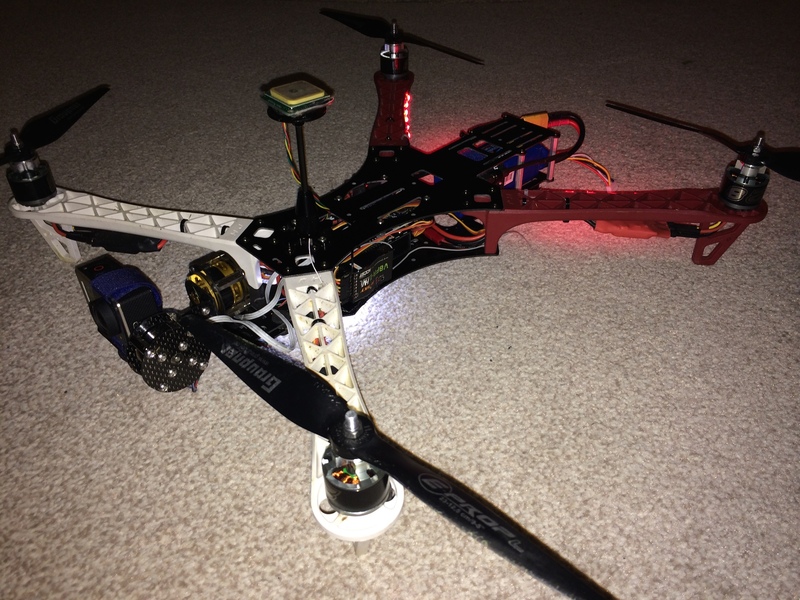 You can see from the photos the I'm using flamewheel F450 style arms, which work really well but to my mind they're a bit heavy and I think we can do better; to get longer flight times and more a responsive feel. I've had a fairly hard look at the usual places on the internet for replacement arms and have found these from AerialMob which look great, but to my mind are SO much money, prohibitively so. I was hoping that someone could point me in the right direction for a cheaper alternative? And nice job! Would love to see clearer pics of the gimbal. Beautiful copter. Welcome to Flitetest! 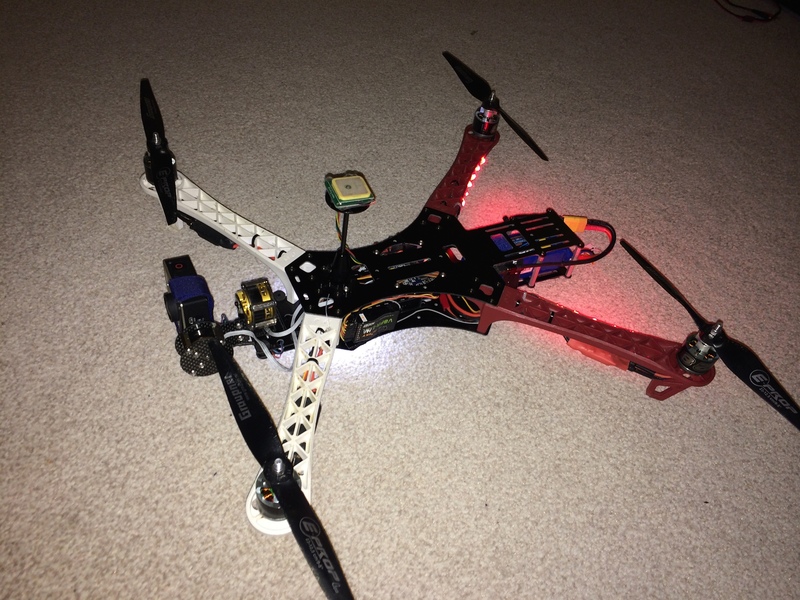 I can find similar arms on HobbyKing but for 550s and 650 size copters. Nice looking quad! Wanna start selling that gimbal? HK sells those arms or their version of them don't they? I have that layout on my future build list, getting a gimbal like that on it would put the icing on the cake! Thanks for the reply and kind comment! I can get that type of spare from Hobbyking or my local hobby shop, thanks for looking. What I'm really looking for is a conversion kit to swap them to hollow tubed carbon fibre. Not only will they look good but massively reduce the weight in the air! Thanks. When I get home tonight I will create another thread with pics and possibly a video of it working. I'd love to start selling them, there must be a market for them?! The problem is it took me about 4 hours with a Dremel and a sheet of 1mm carbon fibre to make, making it cost prohibitive, unless anyone has a laser cutter they could send me . On the new thread I'll post a PDF with plans for how to cut. Thanks. HobbyKing used to sell these separately, but I can't seem to find them now. Nah, I saw those. They are somewhat similar, but the ones he needs have a larger plate separation. He needs the booms from HK's Q or F series.